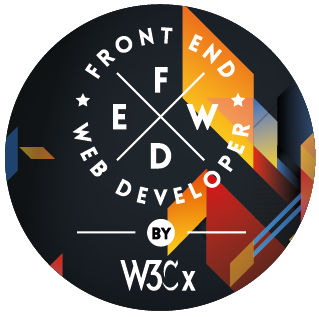 In partnership with edX, W3C started a MOOC training program in June 2015: W3Cx. Over 830K people from all over the world have followed one or more of these popular W3C MOOCs (ranging from beginner to advanced levels) to learn how to build Web sites using the latest W3C Web standards, and to gain skills in one of the fastest growing careers — as demonstrated in this inspiring learner story. By following best practices and playing with interactive examples, students are guided step by step on how to use all client-side Web development techniques to create and innovate on the Web: code modern HTML5 tags, draw and animate Web graphics, play audio&video elements, develop interactive Web apps and fun games, and much more.